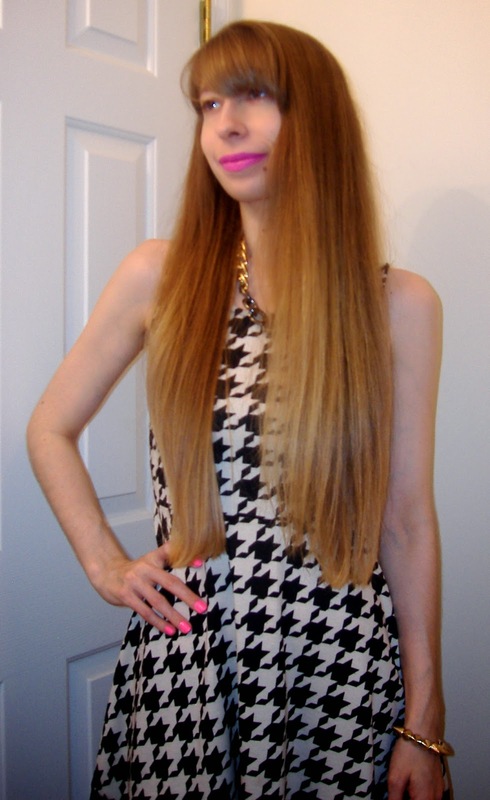 Cherry Lips Blonde Curls: REVIEW ♡ Misikko Hana Flat Iron ♡ A Fairytale Dream Come True! 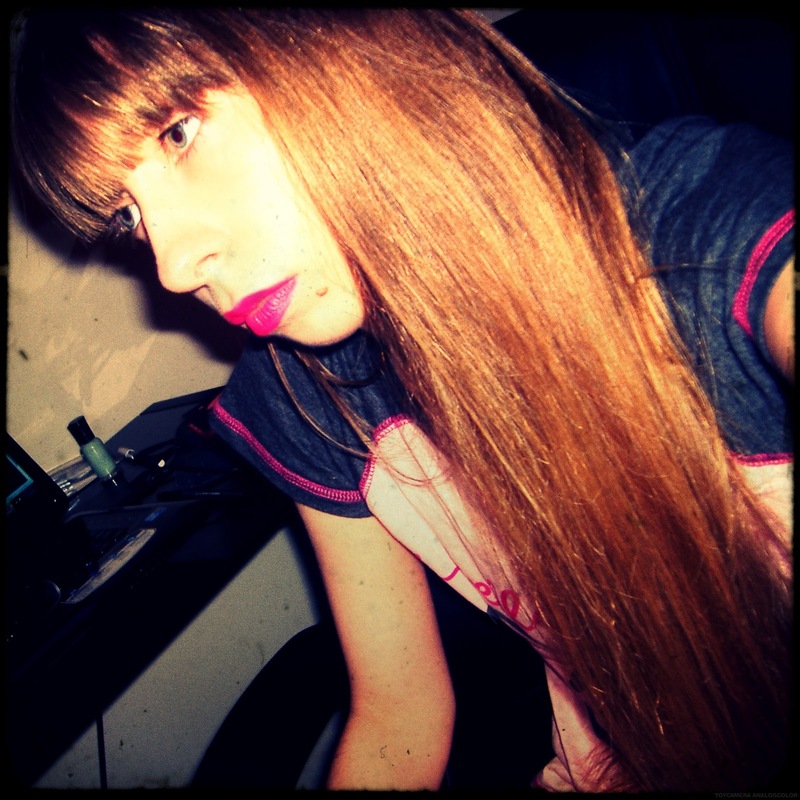 REVIEW ♡ Misikko Hana Flat Iron ♡ A Fairytale Dream Come True! Once Upon A Time...there was a little princess (Yes, that's me!) and her mother the Queen lived in a lovely little Kingdom. The Queen adored her little Princess and wanted her to look her very best but of course the Queen loved...I mean, LOVED curly hair and she wanted her little Princess to have the most gorgeous of curly hair in all of their kingdom!! So she took the little Princess to the Kingdoms salon where she instructed them to give her princess the loveliest of curly hair in all the kingdom. (Oh vey, they gave moi a perm.) By the time they were done with the Princess's hair all the princess wanted to do was say "Off with their heads!!" (Which I'm sure you'd felt like saying more often than not yourself peeps...be honest. Ha!) Her poor hair became damaged, dry, brittle and frizzed out beyond belief. And yes, I have the picture to prove it...and no it will never see the light of day. Just saying. Just imagine an electrocuted poodle. No exaggerating here peeps! So, yes I have been through quite a journey with my hair but it was worth it because I constantly get complimented on it and I love making my hair looking pretty. It makes me feel good. Plain and simple. I just can't concentrate on anything if I haven't glammed up my hair. So on to the Review...this Misikko Flat Iron came in a box which you can see below FULL with all kinds of goodies!! I felt like it was Christmas to be honest with you...they really know how to make all their customers feel special. I didn't expect all the extra little gifts that came with my flat iron...I was just soooo pleasantly surprised. 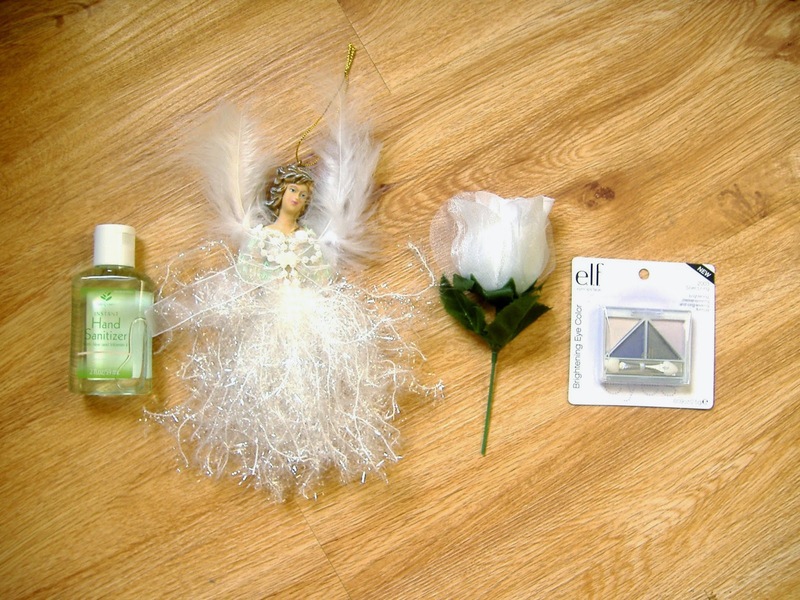 It came with an eyelash curler, an ELF Lip Gloss, ELF Eye Shadow Palette, Hand Sanitizer, Nail Buffers, a pretty white silk rose, a heart shaped box full of bath melts that are shaped like rose petals, it even had a Christmas Angel Ornament! Along with those extras it also came with a Bag to store your Flat Iron in, a rubber mat so you can put down your flat iron without worrying about it burning the counter top, and an awesome shine & heat protecting serum that I'm seriously going to be restocking up on when I use up this gigantic 8 oz bottle of it! I highly reccomend it too peeps. It smells delightful, and really works to make your hair shiny and best of all it protects your hair from the heat. 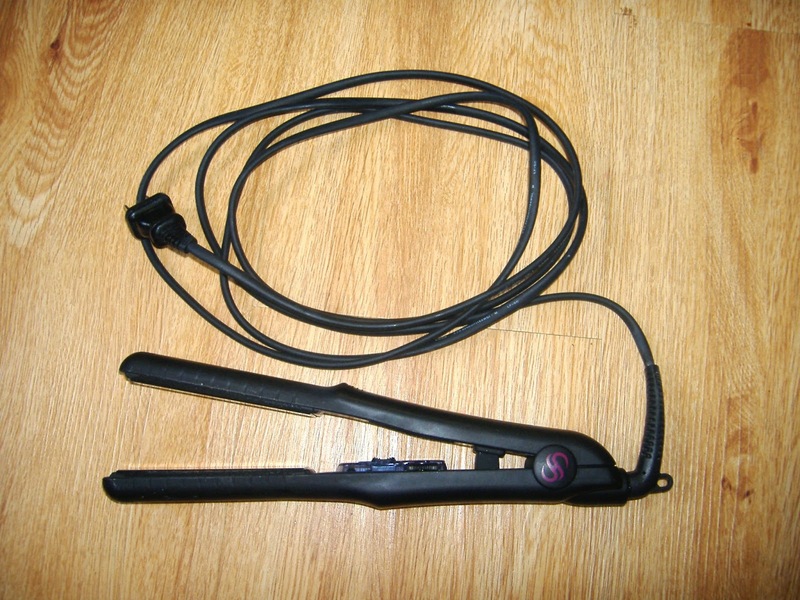 Before I tried this flat iron out, I'd only ever used a $30 flat iron...this one is conisderably more costly at $239. It's a lot for a hair appliance but I have to say it's worth it. This is not just a name you're buying but a very well made hair appliance that really gives you results. With my $30 flat Iron it never really got my hair really straight, like silky smooth straight like the Hana does and it always grabbed on pieces of my hair on the plates. The Hana doesn't do that at all...it slides through my hair with no issues at all. It's extremely well made and made with 100% Ceramic! I don't think they mention it here but I love how long the cord is on my Hana Flat Iron...I don't know why but every time I buy some sort of hair appliance they always have short cords which makes it hard to maneuver. Not so with my Hana. Check out the pics peeps!! That cord is LONG!! The flat iron came in a little box too...it was put in much nicer when I first got it but I just placed the flat iron in there right now for the picture sake. It also came along with some information brochures about how to take care of it and it's benefits. It's kind of funny because my hair actually looks better when I do it myself with my flat iron then when I went to the salon which incidentally was just one day before I received my Flat Iron. 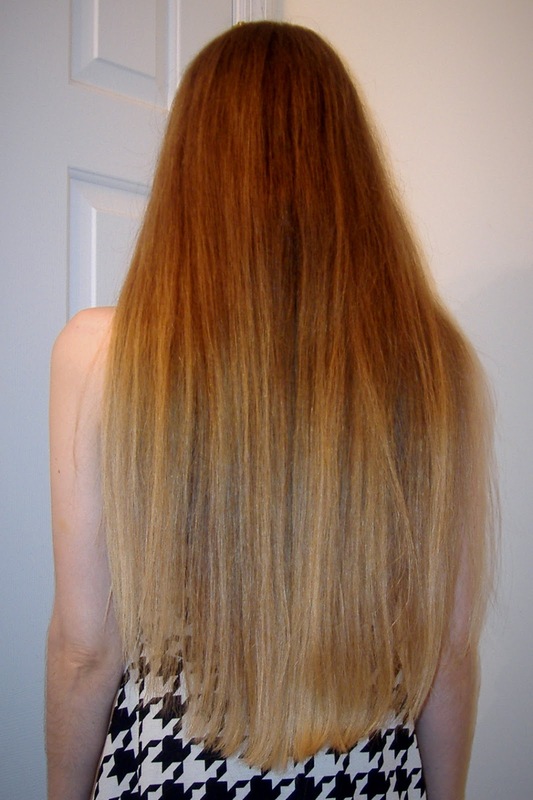 They just didn't know how to treat my hair very well...it got all tangled and it came out dry looking when I went to the salon but when I used the Hana Flat Iron I had awesome results. Smooth, shiny and silky. Now, on to the photos of moi's hair...I know you've been waiting for this...lol...you can see how straight it got my hair...no easy feat believe me!! Look how shiny it is! 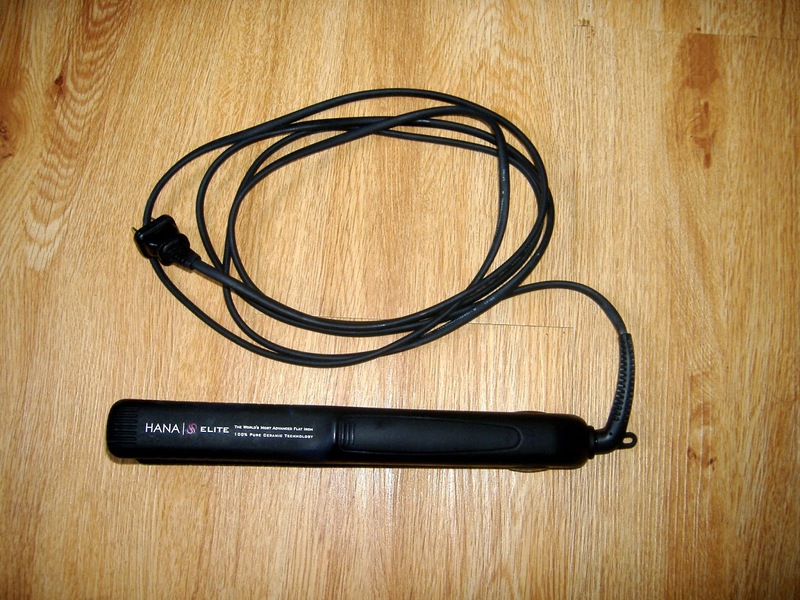 I'm pretty much in love with my Hana Flat Iron. Frankly, I don't know what I would do if anything ever happened to it. *wide eyed stare* I think I might cry...it's that awesome. I take my hair care very seriously. giggle...I do! Well, okay, half seriously and half fun! I totally recommend you check out Misikko peeps...two thumbs up. They have REALLY nice flat irons Regina! Your hair looks absolutely gorgeous doll! Awwh so sorry you had a hair tragedy! As a gal with naturally curly hair I can so relate! Your hair looks so gorgeous! !